Ramadan is the month of the year that Muslims around the world fast during the day and only eat after sunset. The month of Ramadan is the 9th month on the Lunar Calendar which is the Calendar all Islamic holidays go by. Every Muslim person is obliged to fast during Ramada except children, the elderly, pregnant women and the ill. During Ramadan Muslims pray 5 times a day and give lots to charity. 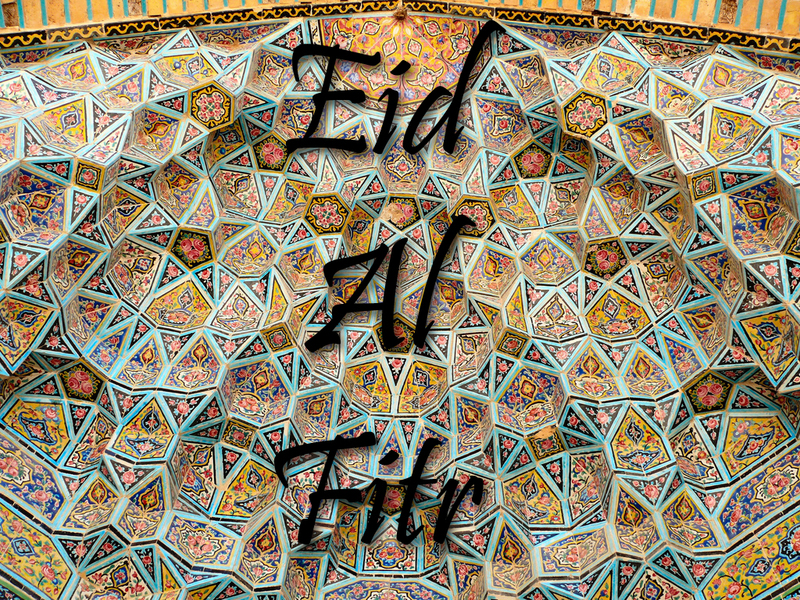 Eid Al Fitr is the celebration after Ramadan is over. Eid is celebrated with a special prayer and sermon at Mosque. Afterwards a feast is held. Gifts are exchanged and families come together. People wear new clothes on Eid Al Fitr. I used: 'Lace Bodycon Dress' from Denim and Supply, 'Zaig T Shirt' from Miss Sixty, 'Rose Gold Hijab' from Windows on the World, and a Stardesign skirt I made. I used: 'Skeleton Hood' from Bod Mod, 'Long White Overcoat' from PPQ, 'Long Sleeve Glitter Tee' from Rio, 'Basic Black Skinny Jeans' from Basics, 'Sleeveless Neoprene Dress' from Melbourne Minimalism (as the back of the coat), and 'T-Bar Strap Shoes' from Bonjour Bizou. I used: 'Satin Overcoat' from SubCouture, 'Head Scarf' from It Girls, 'White Elegant Top' from Basics, 'Printed Skinny Pants' from Fudge, and 'LuiJo Beige Shoes' from Liu.Jo. I used: 'Blue Collar Blouse' from Pretty in Love, 'Everyday Long Blazer' from It Girls, 'Ramadan Long Skirt' Special Offer, and hijab from last years Ramadan campaign. 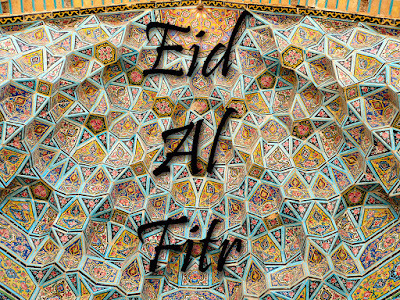 I hope you enjoyed my article and that if you celebrate Eid Al Fitr that you have a wonderful Eid.